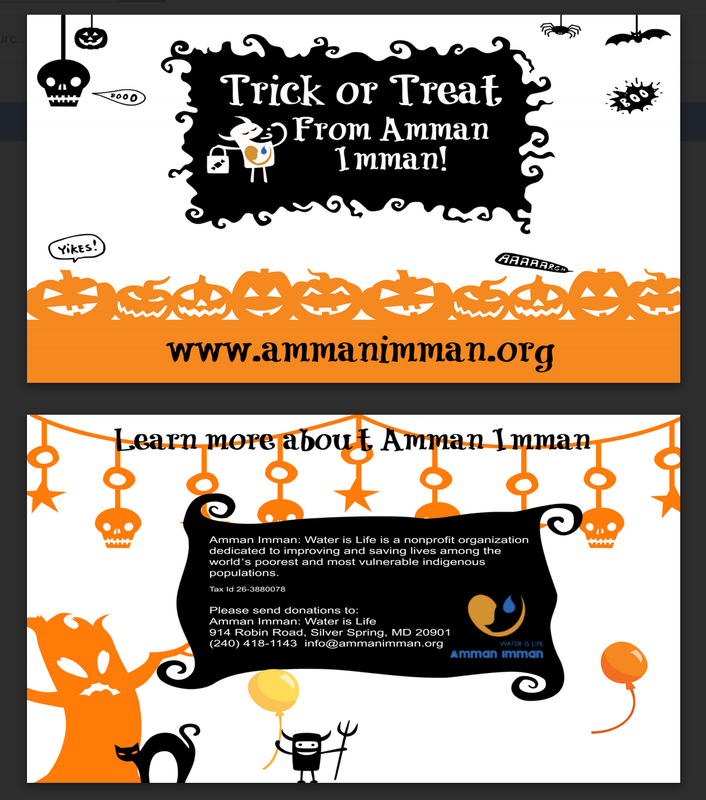 Parents and Teachers: please download the pdf file template with the Halloween wrapper. This will fit around a bag or plastic pumpkin. Thank you for collecting this Halloween for Amman Imman's project to build borehole wells for thousands of people who have no water. The pennies, nickels, dimes and quarters you collect will go toward bringing water and hope to the children, families and animals who live in the Azawak of West Africa. 1. Stay safe by getting permission from your parents before you begin trick or treating! "I am collecting funds for Amman Imman: Water is Life. Together, with children around the world, we are building a borehole - a Well of Love - that will bring water to 25,000 people and animals. The children of the Azawak are dying because they have no water to drink. Please help us bring them water....and hope!" 4. In the next few days after Halloween, count up the money you collected. 5. Ask your parents to write a check for the amount and give them the coins in exchange.